Boystown comes and goes with no change up top. But at least there was a solid chase this year. Seth Hirsch, age 17, (25:49) led the way with Nebraska Run Guru Elite’s Brandon Wissing 27, next in 26:28. Cory Logsdon, 28, of Team Nebraska (27:11), Ivan Marsh (42, LRC Racing, 27:45, 1st-40+), Nate Swenson (28, unattached, 28:17) and Colin Morrissey (26, Team Nebraska, 28:47) rounded out the major players. Good to see the 3 top clubs represented on the men’s side. For the ladies it was Jen Freeman (35, Team Nebraska, 32:48) and Amber Sargent (28, NRGE, Inc., 33:27) the only two USATF Nebraska Association females in the race. 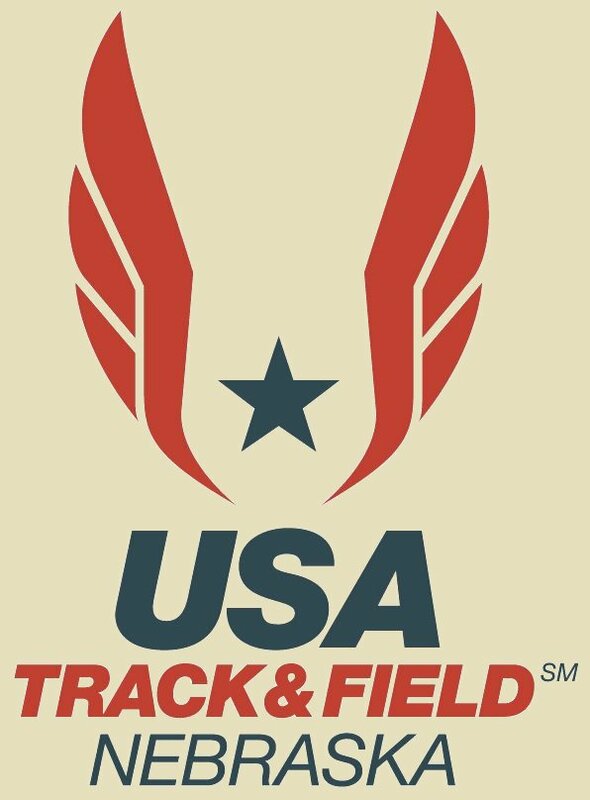 I was hoping to have a more robust representation by our USATF clubs, no ladies from LRC or Women Run Nebraska. Or any female masters at all. My bet (hope) is that we’ll see a whole lot more Nebraska representation and competition at this coming weekend’s Dam to Dam. For those of you not friendly with me on facebook, at least a couple of you ; ), I’m recovering after my bad spill on the bike last Saturday. Five hours in the ER and I’m all stitched and patched up. Police reports filed, Waterloo CSI documenting the scene and my injuries. The dog and homeowner soon to hear from my representative. My buddy Bjorn Suneson is back and up to his transcontinental tricks. Making his 5th traverse from west to east coast. Our bees are the Italian variety, very docile. I mow within a couple of feet of the 16 hives and not yet a sting. Learned propagation last weekend. Remove the queen and some workers from the hive, put them in their own box. Pull the larvae tray and inoculate into special cells, put back in main hive, the remaining workers cultivate a new queen. For every queen there is a hive. For every hive there is honey. Proud of not so little anymore Noah Kunasek. Freshman at Burke. Linda’s nephew. Varsity letter in track for his work on the 4 x 800, pole vault, and hurdles. Just missed a varsity letter in wrestling due to an injury. And working hard to make this fall’s varsity football squad. Stud. This entry was posted in Uncategorized on May 31, 2016 by runguru. One of the guys I consider family. A guy I trust. Jordan Tucker, thanks for being a friend. This entry was posted in Uncategorized on May 28, 2016 by runguru. A lot of great stuff going to happen in the next 48 hours, just up Dodge, youngsters defining years and memories with athletic performance. That’s what its all about at the state meet. Best weekend of the year for pre-collegiate T&F. I’m subdued however. Saddened and shocked and just a little frightened. I guess it can happen anywhere, anytime, anyplace. That’s why it is so important to live every single day with gusto, by your rules, celebrating each breath, each stride, each friend and smile and twinkle and especially family. We think of our little slice as a sanctuary. I like to say we may as well be 100 miles from Omaha. Slower pace, no street lights, very little traffic, paved roads being the luxury we most appreciate. We run these roads. Alone and with friends. With Jed. Linda and I getting to know our Twin Rivers Homestead family on daily runs. Peace and quiet. That peace was shattered last night. Don Fitzwater, 87 years old, astride his John Deere mower, something done thousands of times. For reasons known only to the Big Guy (Good Mother), a lady driving a large SUV appeared on Don’s stretch of road, just an 1/8 of a mile long. Another saying we have out here is if you don’t have business out here you likely have no business out here. She had no business. Preliminary reports indicate alcohol and/or drugs involved. She didn’t see Don on his mower. And we lost him. I’ve lowered my flag to remember. How tenuous life can be. How fortunate, how blessed we are to share another day with each other. This entry was posted in Uncategorized on May 20, 2016 by runguru. Excited for the kick off of tomorrow’s State Track & Field meet. Burke, that gem of a stadium. When I brought the USATF wigs in to tour they were struck by the hard wired details, rating it more favorably than most any other in the country. The supporting staff, most experienced at the Junior Olympics Meet, execute with precision. Our LDR Scholarship committee will be particularly keen on the distance races and the seniors therein. Iowa’s State Meet kicks off today, metric bents making exact comparisons subjective, generally breaking along the Missouri River. Thanks for the emails this week, good to hear from you! This entry was posted in Uncategorized on May 19, 2016 by runguru. Or, the Spring of my Content. Let’s kick things off wishing a safe and rewarding trip to our mate Grant Wintheiser. Left on Sunday for 4 weeks to India on a medical mission trip. Jeremy Morris and Alli Moy Borgen headed down to the Rock on Lake Perry 50K, he with the W (4:05:56), she taking 2nd female. Jennifer Wilson never ceases to amaze me. More frequent flyer miles than the rest of us combined. Strict training program with very little margin for error. Lofty personal best goals for 2016, mile to the marathon. Running last Sunday’s Papillion Half. Smashed personal best by nearly 4 minutes running a fine 2:08:43. The same race saw Kaci Lickteig turn in a nice 1:22:26 on the hilly course. One day after winning the Tails and Trails half with her favorite companion. Jen Freeman (Team Nebraska) won the Brookings Marathon in 3:06:18. Roy White (unattached) took first in the 50-54 age group in 3:14:31. The Medtronic 1 Mile in Minneapolis served as our USATF Road Champs. Ben Blakenship (3:55) and Heather Kampf (4:34.2) take the laurels. Excited to announce that Amber Sargent will be racing the Boystown 5 Mile on Memorial Day, our USATF Nebraska Association Champs for that distance. The Texas State Track & Field Champs last weekend. Reed Brown of Southlake Carroll and Sam Worley of Comal Canyon. Both broke the decades old 3200 meter state record. Brown in 8:50, Worley in 8:51. Earlier in the 1 mile it was Worley (4:04.59) and Brow (4:04.82). Both are juniors. Shades of Seth! Went for a run yesterday afternoon with a new friend. He expressing deserved amazement at the young wunderkind. Me reminding that I’ve seen it all before, listing similar talents from each of the last several decades. At the very top of that list, Gerry Lindgren. Proud to announce the two newest additions to our Merry Band of Racers. Coralie Eilers is Kevin Joerger’s girlfriend and former teammate at Loyola Marymount. She debuted at the half marathon with the “W” (1:35) last month in Valpraiso. Brandon Wissing has also joined us. His training with Jay and Kevin has been solid as evidenced by the “W” over Colin Morrissey at the Berkshire Hathway 5K. 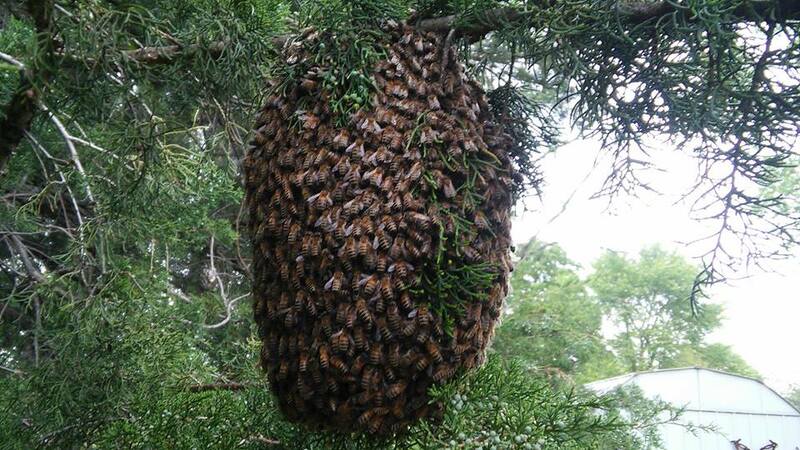 This swarm of bees made a dash from our hives, landed in our neighbor’s tree. The lower 50 degree temps had them completely docile. Used my pruning sheers to clip the branch on either side and gently lowered back into its new box. We started with 8 last year, added two in the fall and another 6 this week for a total of 16 hives. Honey, Bee Mine! This entry was posted in Uncategorized on May 18, 2016 by runguru. Saturday, June 4th. On top of the Saylorville Dam. You want some of that? Yes! A preview of the 2017 Midwest Champions Series. Competition with a Capitol C.
Big tips to Cal and his staff. I’m expecting representation from Team Nebraska, LRC Racing, Kansas City Smoke, Iowa Ablaze, and Nebraska Run Guru Elite, Inc. While most of the field has been set, we pulled the trigger yesterday. Waited to see who raced well at Lincoln, and more importantly, who recovered well. Jay Welp, Kyle Clouston, Kevin Joerger, and Drew Prescott (making his 13.1 debut) for the fellas. Michel Davy, Coralie Eilers, and Stacy Mangers Shaw for the ladies. Dam to Dam gets competition. Housing, travel stipend, waived seeded entries, transportation to the start, and competition with more $$ going to the fleetest. Real Racing in the Midwest. I’ll be dammed. This entry was posted in Uncategorized on May 17, 2016 by runguru. Running. It keeps you young at heart. And in mind. Hope. Potential. The Future. A good preface to today’s major announcement. But first, a flashback to 1991 and the Illinois State T&F 2 Mile Champs. I was coaching a young lady named Jenny Lisy. Dramatic improvement over that spring led to a 7th overall and school record in 11:19. Lifting her from poverty to a DI scholarship. Nebraska Run Guru Elite, Inc. has expanded to include a youth component. We are now officially a Nebraska Association Youth Club as well as adult competitive club. I teased a couple of weeks ago about getting my USOC Safe Sport Certification, now you know why. I’ll be coaching Sam and Jackson Runde, our third summer together. This year though, they run for NRGE, Inc. Sam pointing things in the right direction last Thursday when he won the All City Mile in a windy 5:15 (he’s already run 5:06 this spring), the fastest 7th grader in OPS. This entry was posted in Uncategorized on May 16, 2016 by runguru.